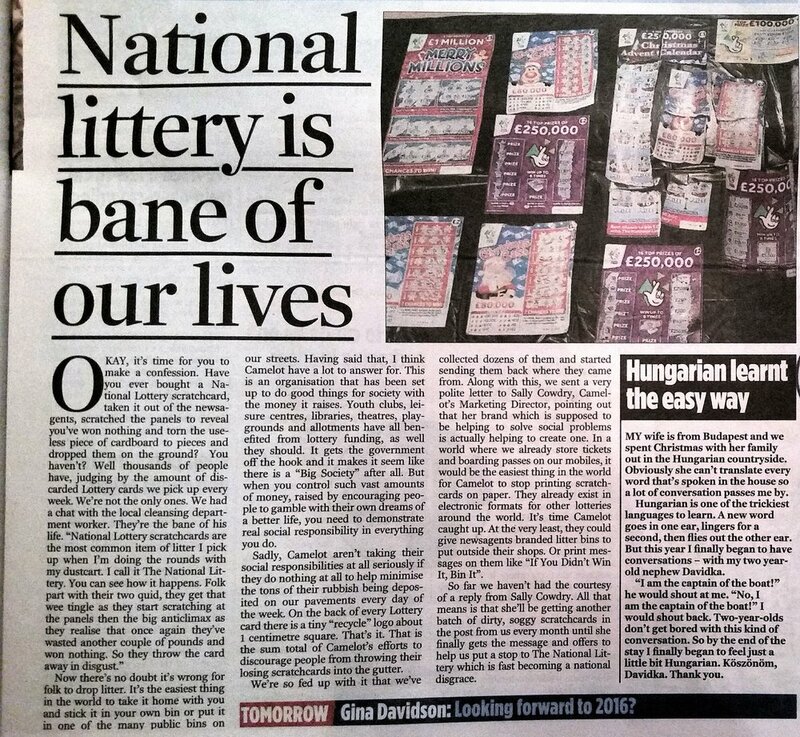 We’re Zsuzsa & Gerry Farrell. Gerry grew up in Edinburgh. I'm from Budapest, Hungary. We're both advertising professionals. 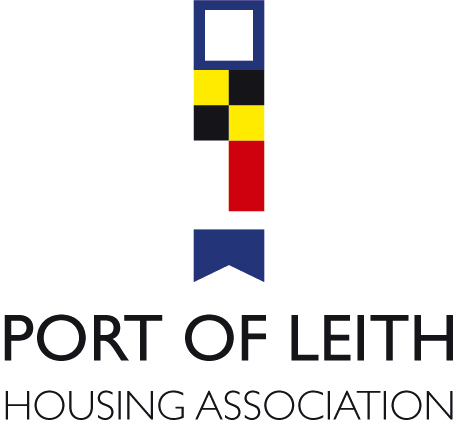 Gerry used to be the Creative Director of The Leith Agency and made a lot of famous campaigns for Irn-Bru, Grolsch, Tennents Lager, Honda and The Scottish Government. I used to work for international agencies and made ads for Coca-Cola, Aldi, Tesco, MasterCard. We run our own advertising agency and creative consultancy called Gerry Farrell Ink. 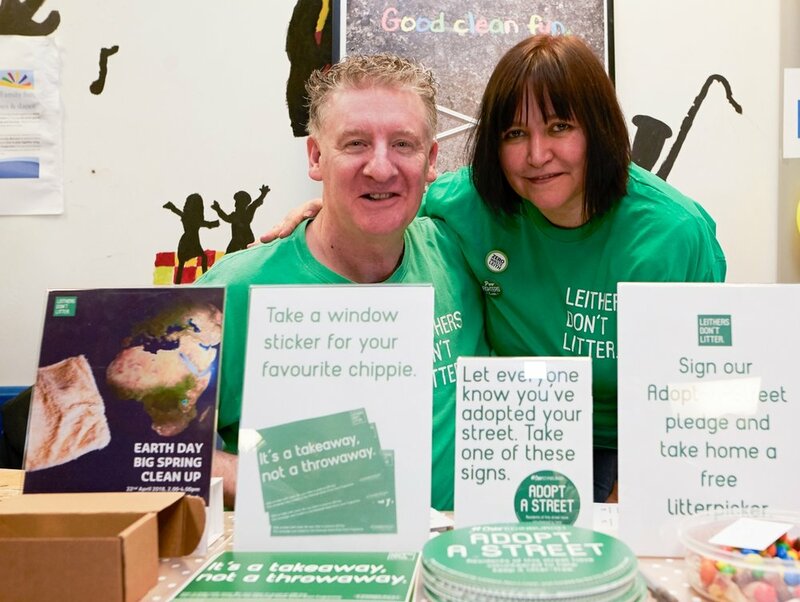 In 2016 we won the “Best Litter Prevention Initiative” Award at the Scottish Resources Awards and the Grand Prix at the Drum Scottish Creative Awards for our Leithers Don’t Litter campaigns. 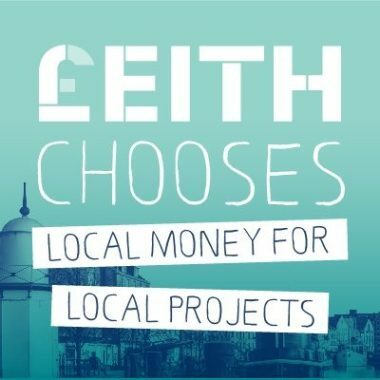 And in 2018 we were finalists at the Scottish Resources Awards in the”Best Partnership Initiative” category with Changeworks for our Flyspotting campaign we ran as part of their Zero Waste Leith project. 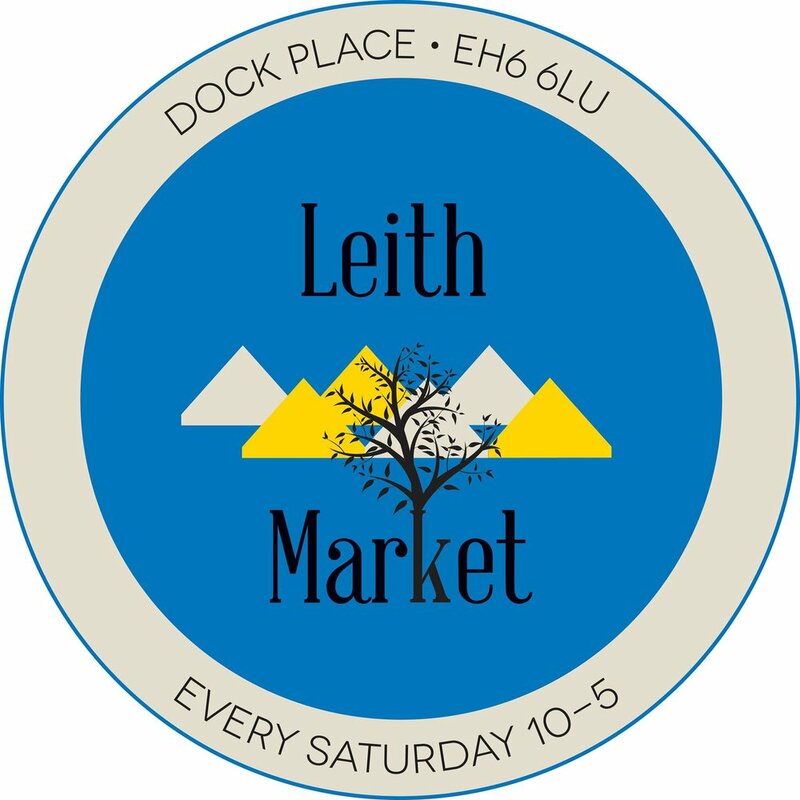 Leith Market offered us free stalls for our events and discounts to volunteers who came to our litterpicks. Vegware gave us compostable paper cups to serve refreshments to people who come to our cleanups. 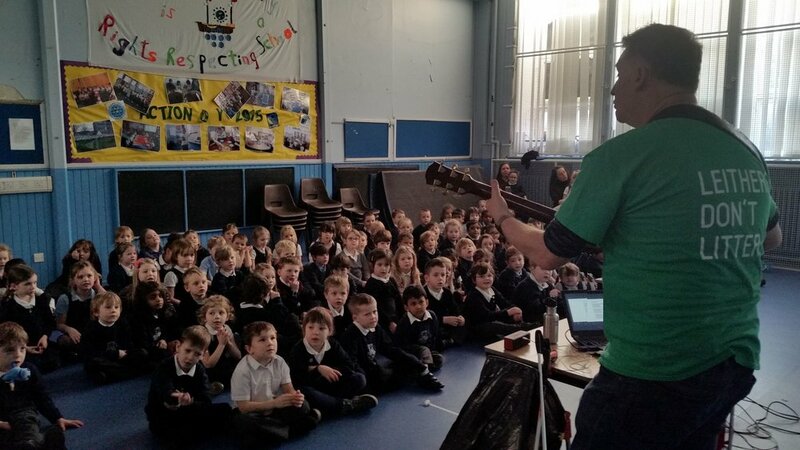 We had great fun with Leith Primary pupils and taught them the “Anti-litter Song”. 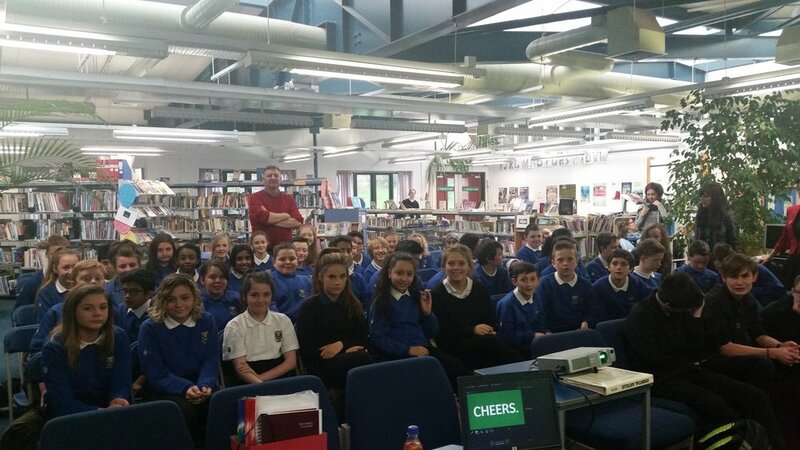 We had a two-months educational programme with Leith Academy. 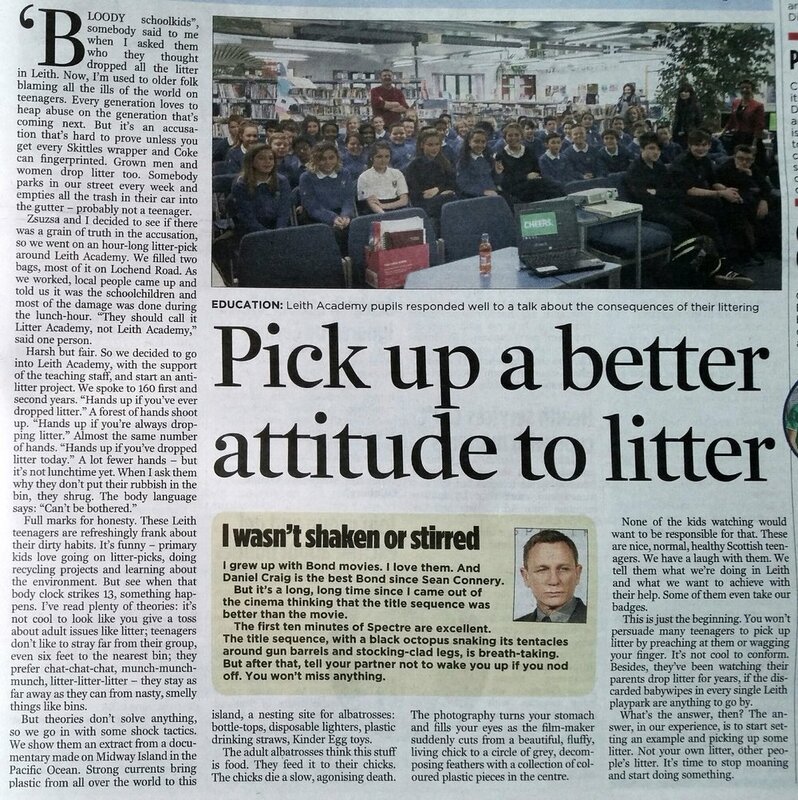 At the end we helped organise a litterpick when 300 kids collected 100 bags of rubbish. Projekt 42 gave free gym class passes to the volunteers who helped us at our autumn cleanup in 2017. The lovely folk at OotNoo helped us get the furniture delivered to the launch of the Flyspotting campaign. 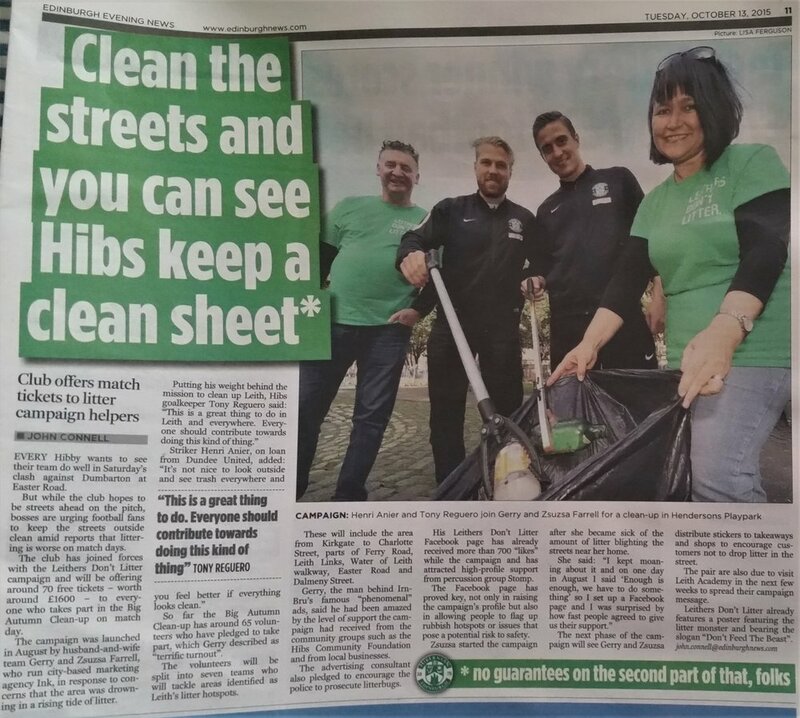 HCF gave free match-day tickets to the volunteers who came to our cleanup. 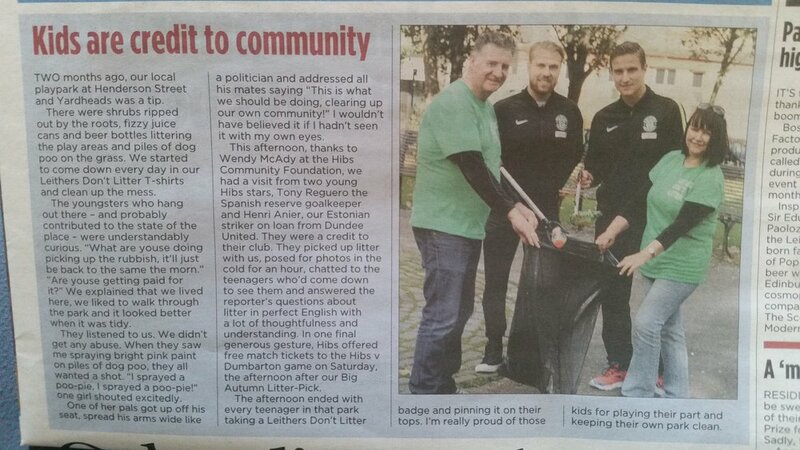 Hibs players helped us promote our cause by cleaning up the play park in Henderson Gardens. 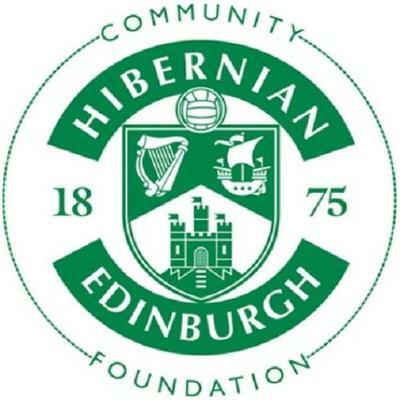 Hibs also gave us a free advertisement in their match-day programme and on the digital screens inside the stadium. 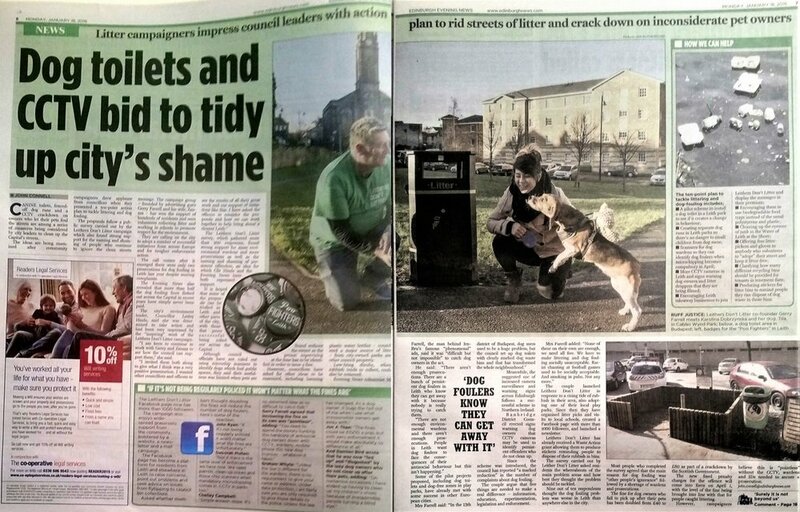 Edinburgh Tool Library was the first business who adopted their street and the Tooligans often help with our cleanups. 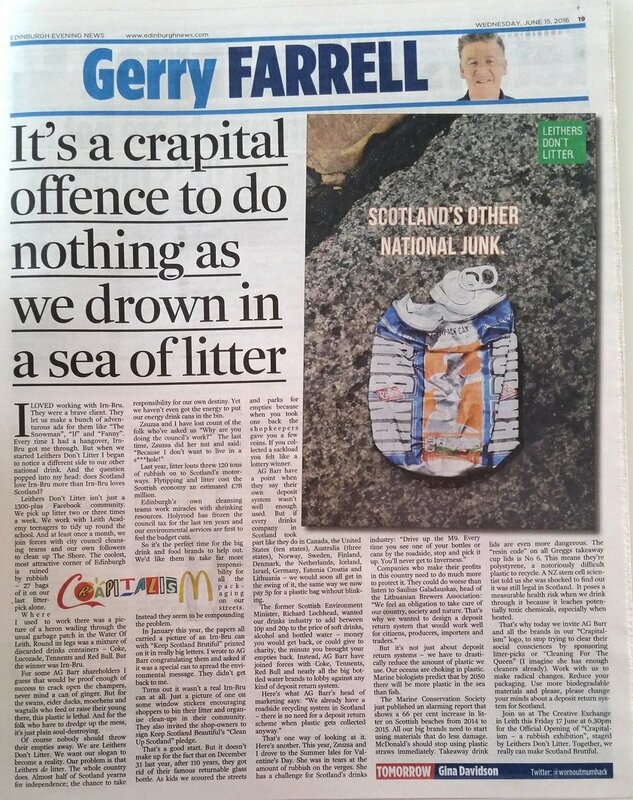 We actively campaigned with Have You Got The Bottle for the introduction of a deposit return in Scotland. 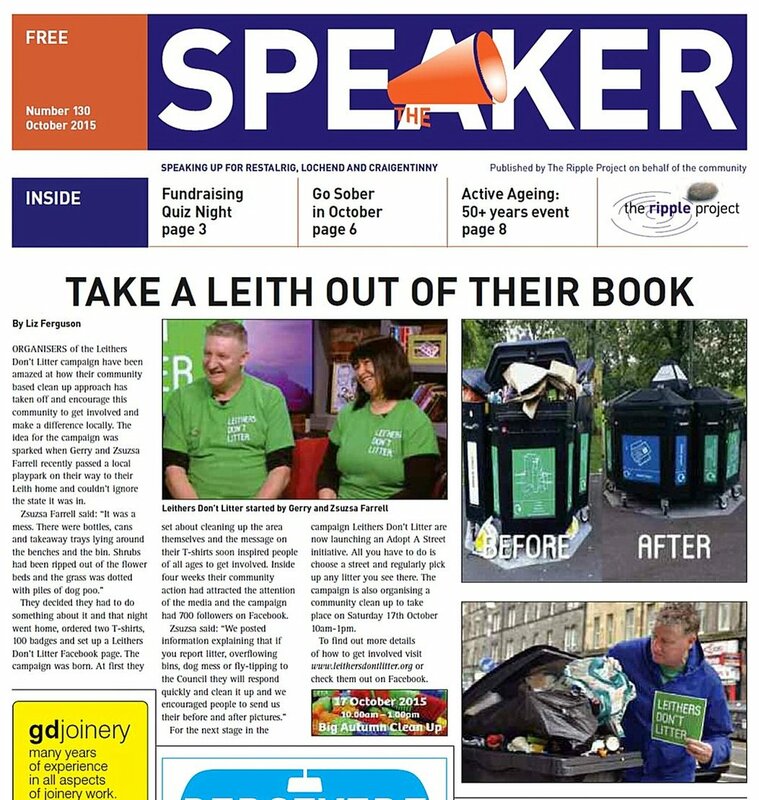 We teamed up with Changeworks to campaign against flytipping. POLHA sponsored our first 1000 badges. 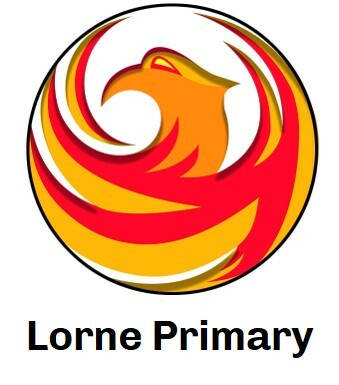 They also help to publicise our events in their newsletter. 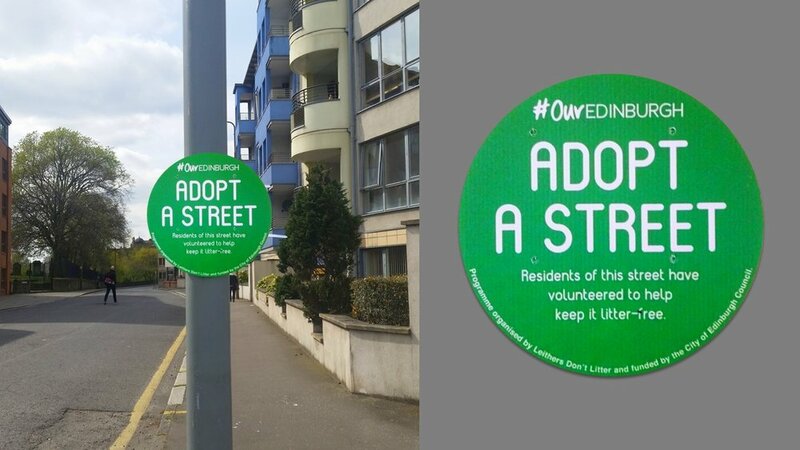 Our Adopt A Street programme wouldn’t be possible without the active help of Edinburgh Council. 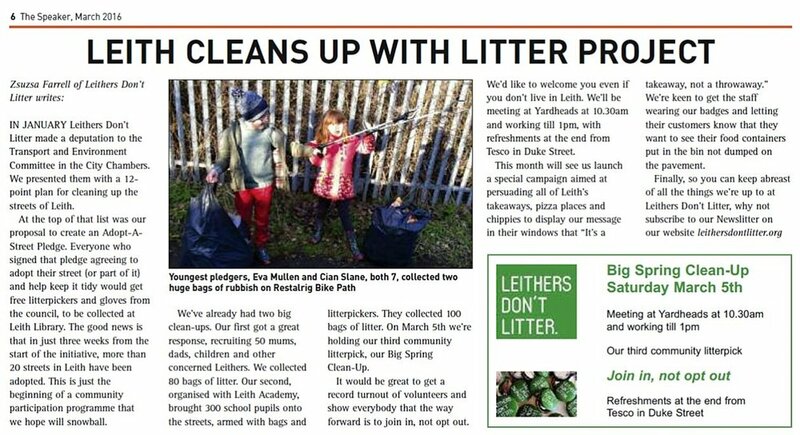 They give us the free litterpickers and the “Adopt A Street” signs and also help us with the litterpicks. 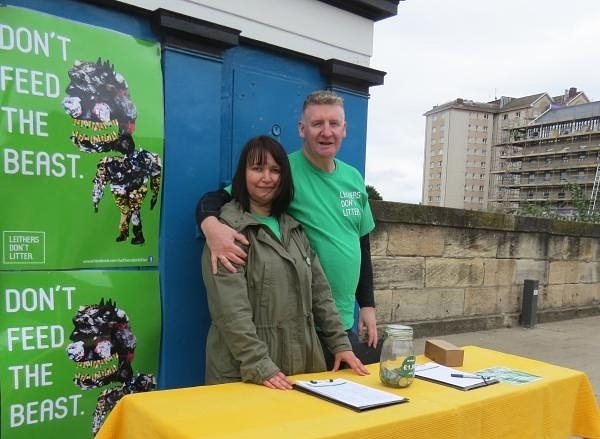 Our first public appearance was at Leith Walk Police Box, where we collected our first mailing list and gave away 100 badges. We had a “Rubbish Poetry workshop with the Citadel Youth Centre where the youngest participant was 9 and the oldest was 92 year old.